Uttar Pradesh Board of High School and Intermediate Education, was the first board established in the country for education in the year 1921, which then was converted to Central Board of Secondary Education (CBSE) in the year 1952. Some of the reputed schools of the country are affiliated to CBSE, which includes the Kendriya Vidyalayas, Jawahar Navodaya Vidyalayas along with numerous private reputed schools. Every year CBSE conducts the final exams for class 10th across the country for its affiliated schools. This year approx 895678 students have appeared the CBSE Class 10 examinations 2018 and the number is expected to increase in the coming years. It is always advised to keep the topics ahead of all, which are difficult and keep a strong grip on these by having a thorough study. Divide your time and study each subject every day, do not complete one subject and then move to other. This can help you get rid of boredom and also in remembering several things in a much easy way. Before initiating the preparation, make sure you have all the necessary study materials with you while preparing for the CBSE class 10 Board exam. It is very obvious that the NCERT books are the bible for the board exam preparation but to have a much better idea and to have a better scope, it is always advised to keep one or two books more for every subject. Here we have compiled the complete list of books that you can choose while preparing for CBSE class 10 board exams. BUSINESS STUDIES FOR CBSE CLASS X by CHADHA K.
Although, in class 10th the NCERT books are enough to study along with a couple of other handy books to keep for references, but there are also scope of sample papers for preparation, especially for subjects like Mathematics and Science. The sample papers come with several mock tests in it and can be really helpful in preparing for the final board exam. Students are always advised to prepare past years question papers which they get from the school library or even online as well. These are very crucial to practice as most of the question are of similar formats and the past year papers gives the exact idea of the format of questions that one can expect in the final board exam. Make a timetable table for the class 10 board preparation and devote ample time for everysubject. Follow these tips for time management and excel in the exam. Select particular duration of the day which according to you is the most preferable time for study, and keep those subjects which you feel difficulty to be studied at that time. Preferably the early morning or the late night is the best time for studying such subjects. Divide your time in such a manner that you include every activity that you do in a normal day, say playing games, to browsing web. Do all these activity in a planned manner keeping the studies above all as priority but also include every regular activity in the time table. Do not waste time on anything, say for example you have difficulty in algebra. You can keep is reserved for the doubt clearing and can carry on with some other topics in that time. Remember, time is very precious! 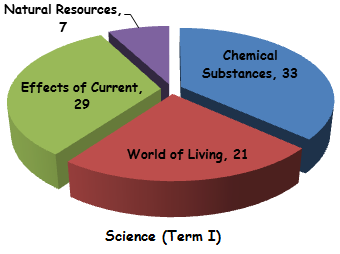 Keep separate charts and tables formed for the formulas of physics and mathematics. This can be really helpful and save a lot of time in searching them while solving the problems of these subjects. 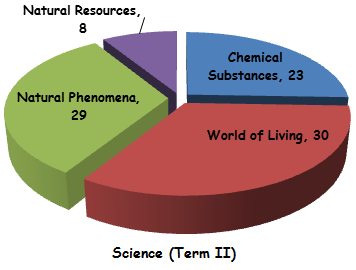 The topics of the CBSE class 10 Science include the general concepts ofPhysics, Chemistry and Biology. These topics enable students to understand the basics of various theories of science and have a clear idea of the concepts. Students while preparing for science subject, can makeflash cards with definitions of various terminologies that you learn every single day. Students can also writer the definition in their language without changing the gist. Students must prepare notes while studying the subject and read them during the exam. Also they can keep separate notes for the basic formulas and chemical reactions tables which can be used while preparing for the final exam. Students must keep a handy note for derivations and experiments given in the syllabus and keep that list with them while revising and practicing. Mathematics is all about applications of the formulas, and to remember the usages of formula there is the only way, by practicing and practicing. Some of the formulas have certain usages and in order to use them correctly you need to have proper practice done for it. For example, quadratic formula can be used once the equation has been changed to standard quadratic form first. And to know how to change you must have the practice so that you can do that immediately and can also understand which formula can solve it at the earliest. 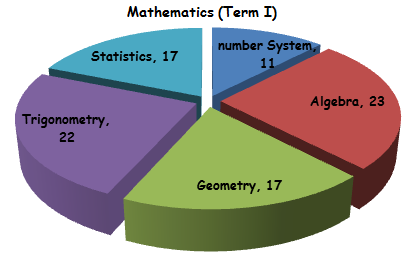 To get good scores in mathematics in the CBSE class 10 board exam students must follow the NCERT book. Almost the entire paper in the exam revolves around the concepts being given in the NCERT books and hence following them is a must! Prepare a sheet covering all the important concepts and formulas with their implications. Also you need to learn the usages of these formulas. To clear the subjects with a great score, the only way out is to read, read and read. Read as much s you can and try to remember the difficult words and their meaning. Read various topics of literature from philosophy to science to fiction, this is very helpful in solving the unseen passages in the final exam. Also this enhances the knowledge of vocabulary. Try to communicate in English only with your friends and family, this builds up a strong grip of yours on the language. Keep a check on grammar while speaking English as to learn the best form of spoken English. Follow some of the best grammar books in order to understand the basic rules. For writing letters, applications, reports, speeches etc practice the formats with vivid topics. Learn the geography of the important places by watching the videos of those places on internet. It helps building a strong idea of that particular place and helps to remember the geographical conditions as well. Learn the importance of a particular place, for instance the history of QutubMinar (in History subject) you must read the thorough history of the Minar by finding the history on internet or the books. If possible to visit the places you must visit so as to keep a strong memory of that particular place and can solve questions related to it.